The family of a shooting victim in New Orleans who died last month prepared his body in a way that they say honored his memory. 18-year-old Renard Matthews died on June 25 due to a gunshot would to the head. 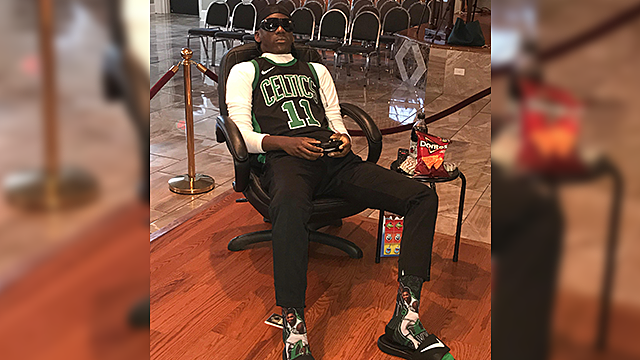 For his funeral over the weekend, his family chose to remember him doing what he loved to do -- playing video games. He also loved the Boston Celtics so they put a jersey on him and his favorite snacks were positioned on a nearby table and the floor. Matthews will be laid to rest today (July 10) at Interment Providence Memorial Park.